With Ripcord, you get the freedom to play wherever you are. You already power your phones and tablets with USB, now you can power guitar pedals, amps, synths, and whatever else you need on the fly. No more lost inspiration, replacing batteries or looking for a plug socket. With Ripcord, you can power from your laptop, phone charger, USB powerbank – or even from your Android phone. Not sure what you need to buy to power your gear? Get in touch! 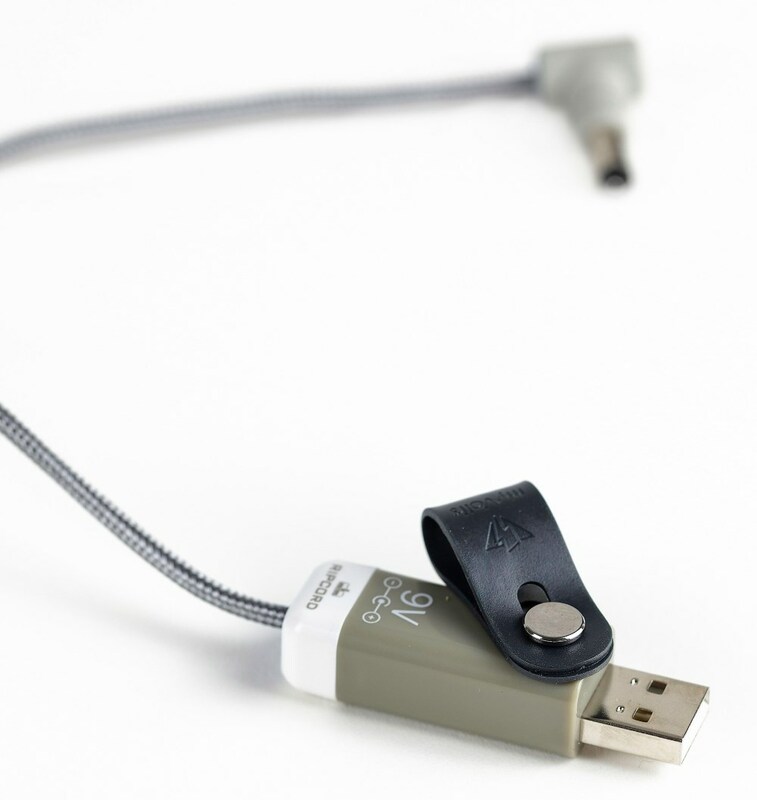 Ripcord - The plug and play anywhere USB power cable. 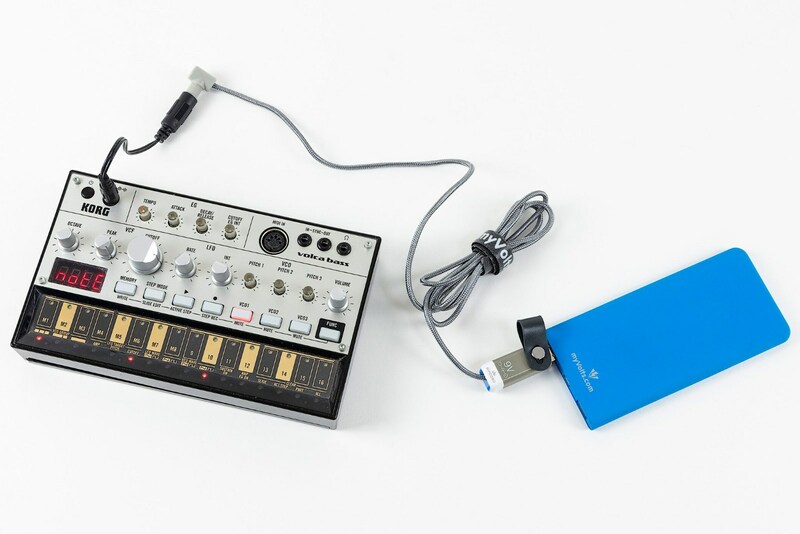 You already power your phone with USB, now you can power your synths, guitar pedals, amps, and whatever else you need on the fly. Ripcord's tip is 5.5mm Outer Diameter, 2.1mm Inner Diameter - it fits 90% of PSU's for pedals, synths etc. If you want other tip sizes, or to reverse the polarity, add the tips you need below. Questions? See the FAQ or ask us! 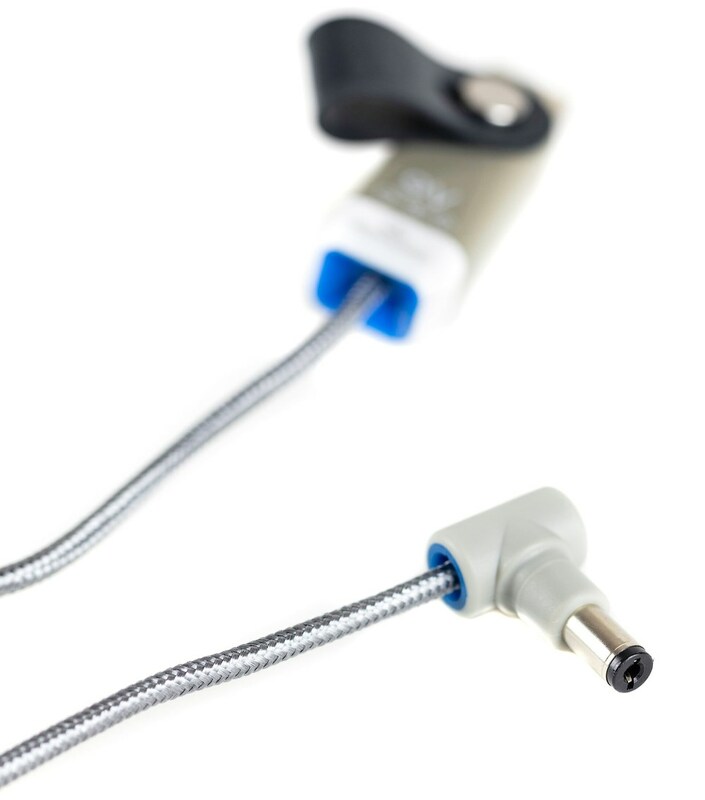 2.1mm (Ripcord) adapters to: 2.5mm, 1.7mm, 1.3mm, 0.7mm, 1.4mm with central pin, 3.5mm mini jack, 2.1mm polarity reverser. 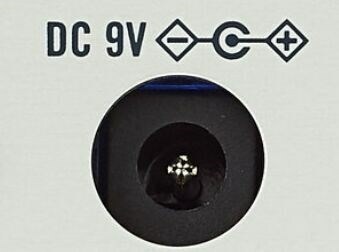 A 5-way power splitter cable that allows you to power up to FIVE Korg Volca synths from one power source. Works with 9V centre positive Ripcord model AA926MS - or any other compatible 9V PSU. 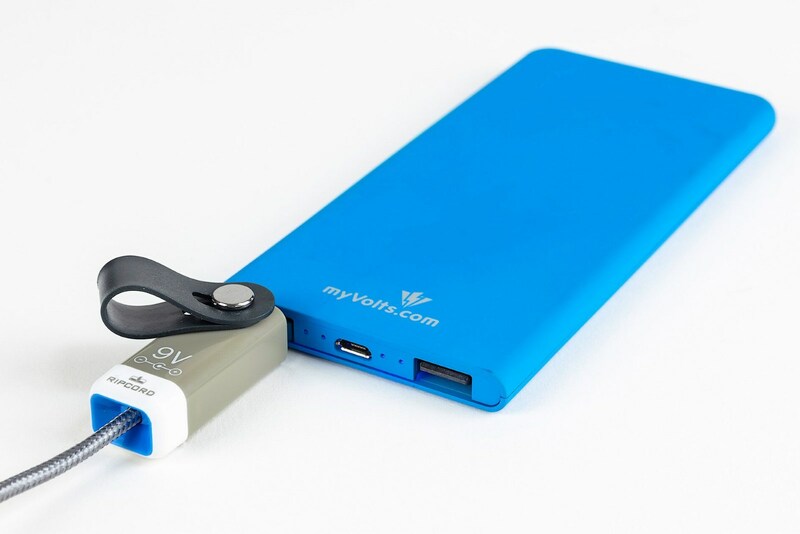 A high-capacity, 5000mAh USB power bank with 1 x 2.4A output, 1 x 1A output. Micro USB charging cable included. Compatible with all Ripcord models, also suitable for powering and charging any USB devices - smartphones, tablets etc. A power supply tester with power passthrough and polarity indicator LED - handy for testing PSU's and verifying power is available on a cable. Great for home, stage or studio use. An inline 3 metre cable extender that plugs into the DC end of Ripcord (or other PSU) and into your device - for when a standard cable just isn't long enough for the job. A 5-way power splitter cable that allows you to power up to FIVE devices at once - works with 99% of effects pedals. Power input size 5.5mm / 2.1mm, and 5 x power output size 5.5mm / 2.1mm. Works with Ripcord - or any other compatible PSU. 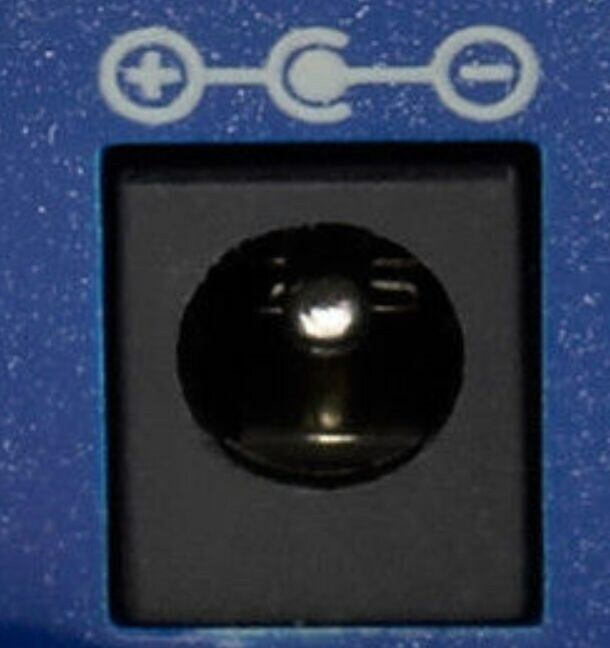 An inline ON/OFF rocker switch that connects between the DC end of Ripcord (or other PSU) and your device - handy for devices with no ON/OFF switch, like the Moog Mother-32 Synth. An inline USB power meter, for monitoring USB power usage. 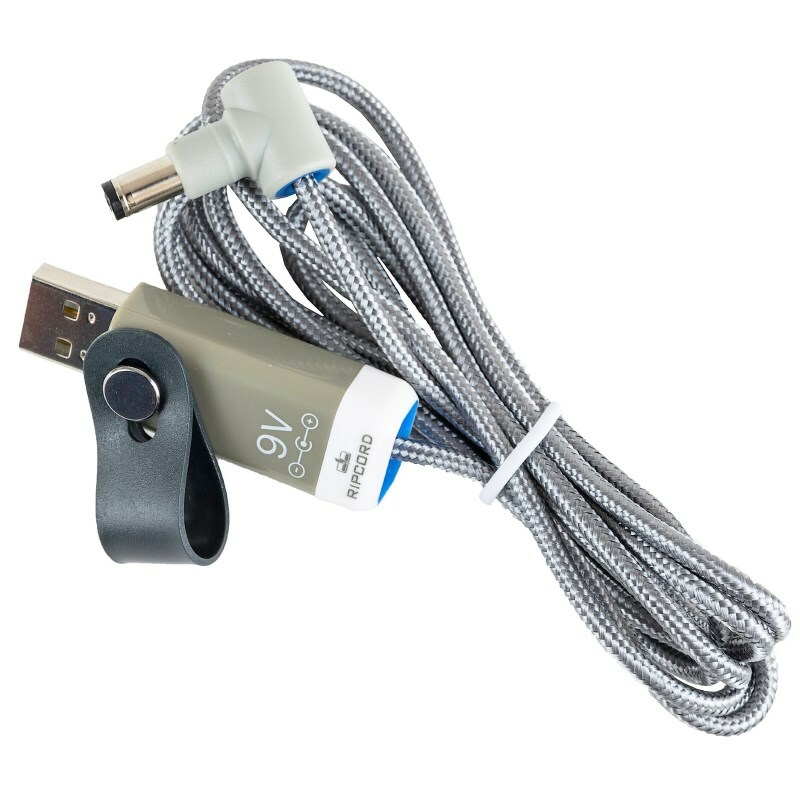 An On-the-go (OTG) power cable for Android phones that lets you use your Android phone's internal battery as a power source. Compatible with all Ripcord models. A 9V battery snap that lets you power a device that needs a 9V PP3 battery with Ripcord. 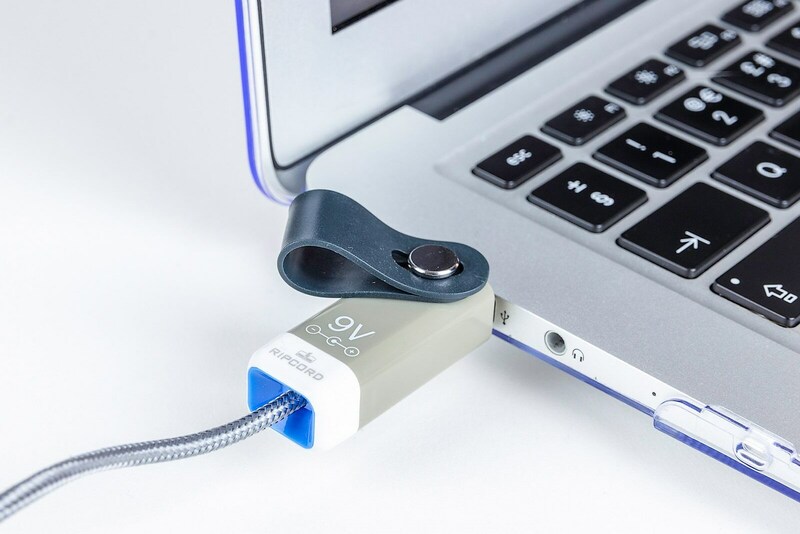 Ripcord is a unique cable that lets you power your gear from any USB port. + What's on each end of Ripcord? 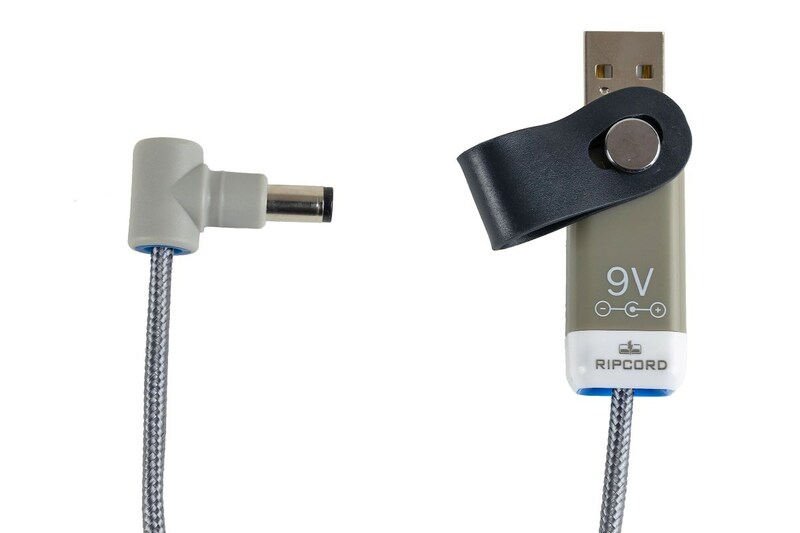 + What makes Ripcord different to other USB power cables, like the one I use to power my phone? Your phone needs 5V, and a USB port gives out 5V. However, most musical gear needs other voltages, for example, 9V. But you can't power something that needs 9V from a 5V USB port. That's where Ripcord comes in - it takes the 5V from a USB port and turns it into the 9V that your gear needs. + Why would I want Ripcord when I can just plug my device into a wall socket? What if there's no wall socket nearby? What if you want to play outside? What if you've no plug sockets free? What if the device didn't come with a plug? What if you only have a UK power adaptor and you're in the US? Ripcord can also protect against noise: the buzzes and hums caused by poorly-earthed mains electricity. + Why would I want Ripcord when I can just power my device with batteries? Batteries run out without warning. Batteries must be bought in advance and carried around. 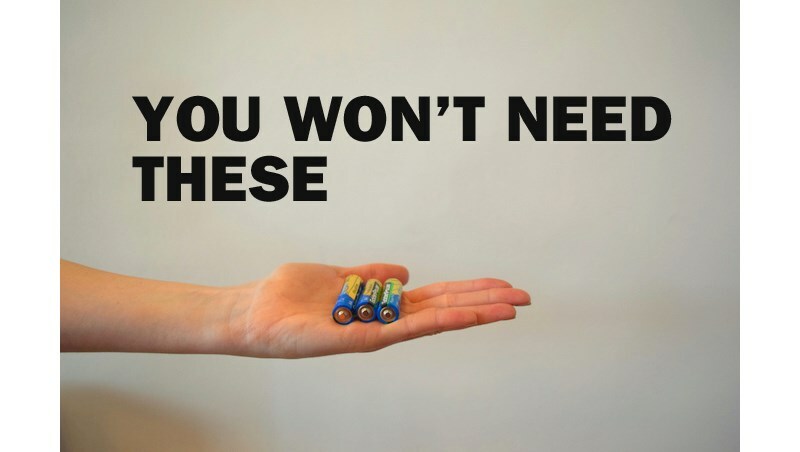 Batteries are really bad for the environment. 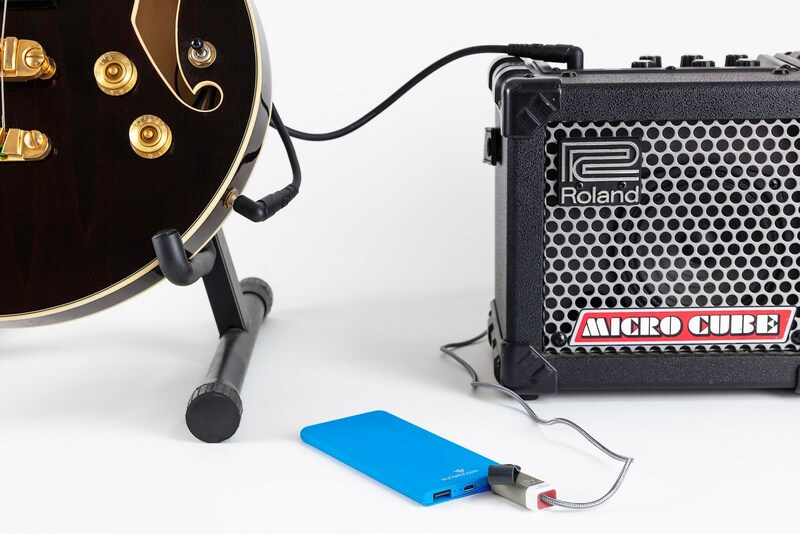 With Ripcord, you can power your gear from a rechargeable USB power bank instead of batteries. + What can Ripcord power? It'll work with most guitar pedals, tuners, mini amps, synths, wireless transmitters, audio interfaces etc. etc. Ripcord will power it, in almost every case. Not sure what you need? See our device finder. If your device isn't listed, and you've read the FAQ and still aren't sure, get in touch and we'll advise exactly the right Ripcord. + I have a device that requires AC power in – will Ripcord power it? No, Ripcord is only suitable for devices requiring DC power. If you aren't sure, get in touch and we'll help. + There are different Ripcord voltages available. How do I know which one to get for my device? Ripcord comes in several voltages, because different devices take different voltages. For example, most guitar pedals take 9V. 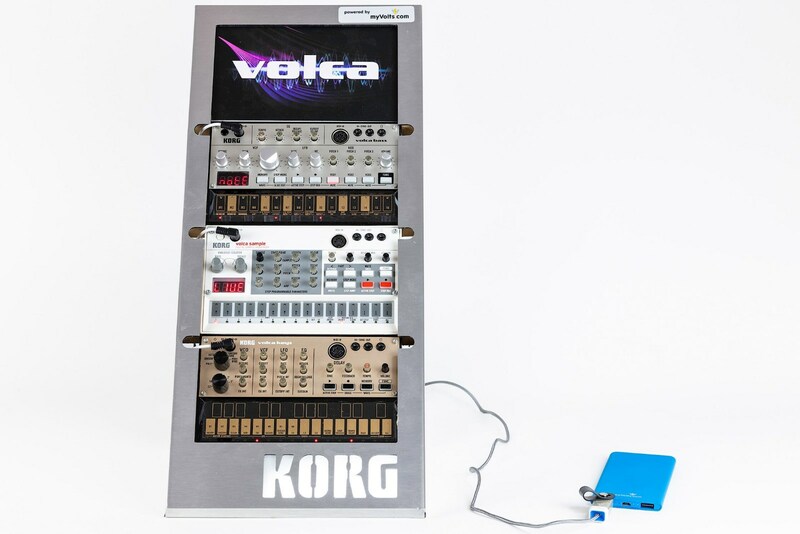 The Korg Volcas take 9V. Yamaha keyboards take 12V, Casio keyboards 9V. 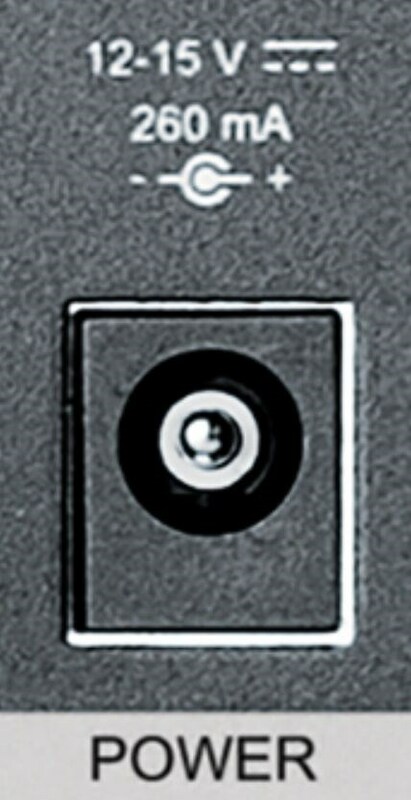 Then there are devices like the Zoom H4n Pro - it takes 5V, but needs a barrel tip, not a USB one. We have a Ripcord for that too. + What's the full specification of each Ripcord? The table below shows the specification for each Ripcord version – voltage, polarity and max amperage output. 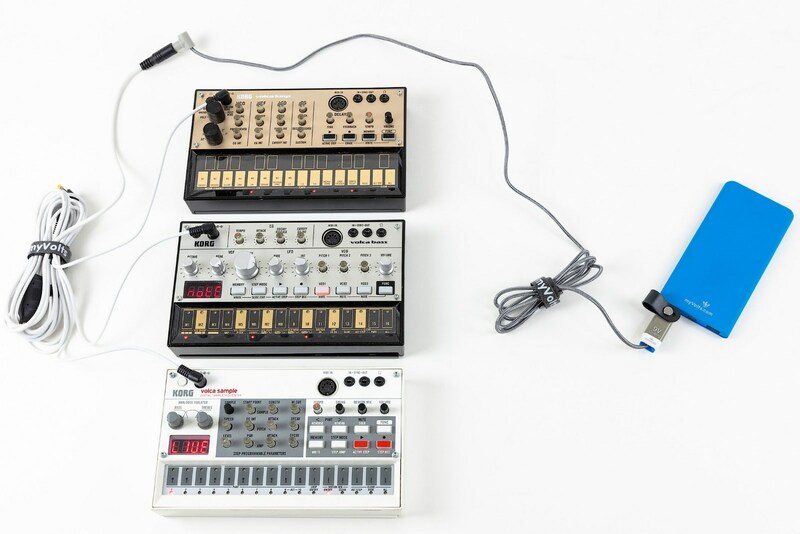 Just to give some context: the average guitar pedal uses 80mA, and the Korg Volca synths use about 100mA. + I have a device that needs more amperage than the max amp output stated. Can I power it with Ripcord? Ripcord is rated at 9W maximum output – but with the right power source, it is possible to power devices that need more amperage. Get in touch and we'll advise. + What is polarity, and why does it matter? Different devices require different polarity – a device can require a power supply with negative polarity or centre positive polarity. See our device finder to find your device – the Ripcord with the correct polarity will ship for your device. We also have a polarity-reversing tip available on this page; part number is AA841MS. If your device isn't listed, and you've read the FAQ and still aren't sure, get in touch and we'll advise exactly the right Ripcord to get. + There are different tip sizes available to go with Ripcord. Which one do I need? The tip size of Ripcord is 5.5mm outside, 2.1mm inside – which suits probably 90% of devices. See our device finder to find your device – the Ripcord for your device will ship with the right tip, if a tip is required. If your device isn't listed, and you've read the FAQ and still aren't sure, get in touch and we'll advise exactly the right Ripcord. On this page you can also choose to buy the Ripcord Tipset – which includes 7 tips, covering 99.99% of device. Or if you know what tip size you need, choose it from the available Accessories on this page. + What tips are included with the Ripcord Tipset? The following tips are included in the Ripcord Tipset. They're also available to buy individually on this page. + Do I need to plug Ripcord into a special kind of USB port? Any USB port will do! They all carry power and are standard worldwide. 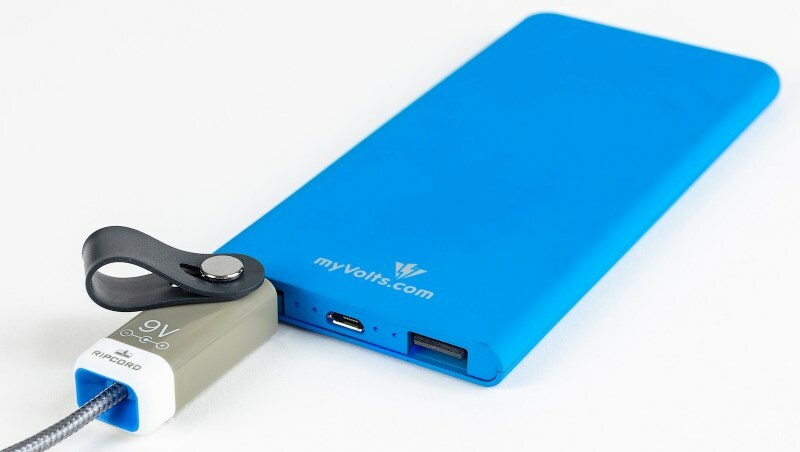 You can power your device from anywhere you can charge your phone - you can use a USB port in the side of a laptop, a desktop, a MacBook, any USB hub, iPhone charger, a port on a media streamer, any USB power bank, even the back of any LCD TV. + There's someone powering a device from a phone in the Ripcord Kickstarter video! What's that about? 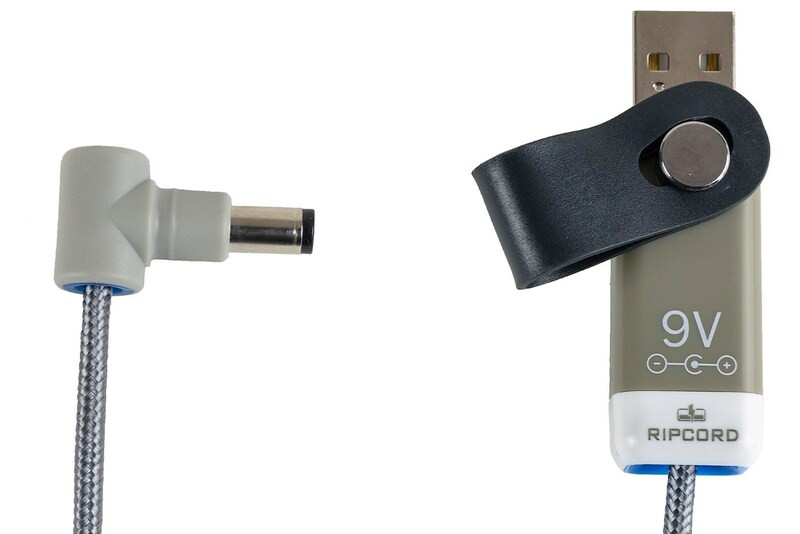 If you connect Ripcord to your Android or Windows phone with an OTG ("On The Go") cable you can use the phone's own battery as a power source, and power gear with your phone! Hopefully you'll be able to do the same with iPhones of the future too. + How long is Ripcord? + Can I power more than one device at once from Ripcord? 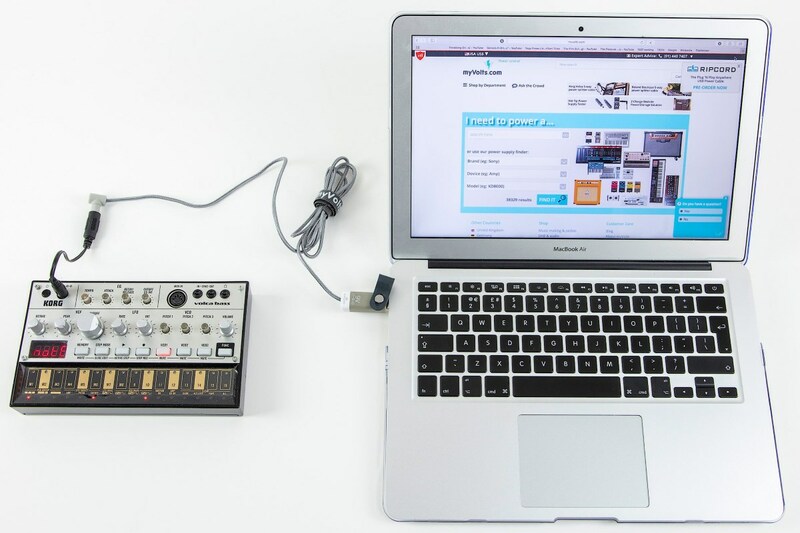 Yes, you can - with a daisy chain, or the myVolts 5-way Korg Volca power splitter cable - both available on this page. + Will it work with a USB 1 / USB 2 / USB 3 ports? Yes – all of them. But the maximum current output of USB ports can vary. Get in touch if you're not sure. + What other advantages does Ripcord have? Power adaptors are bulky and heavy, Ripcord is tiny and light. It's CE and RoHS certified, and has FCC approval. 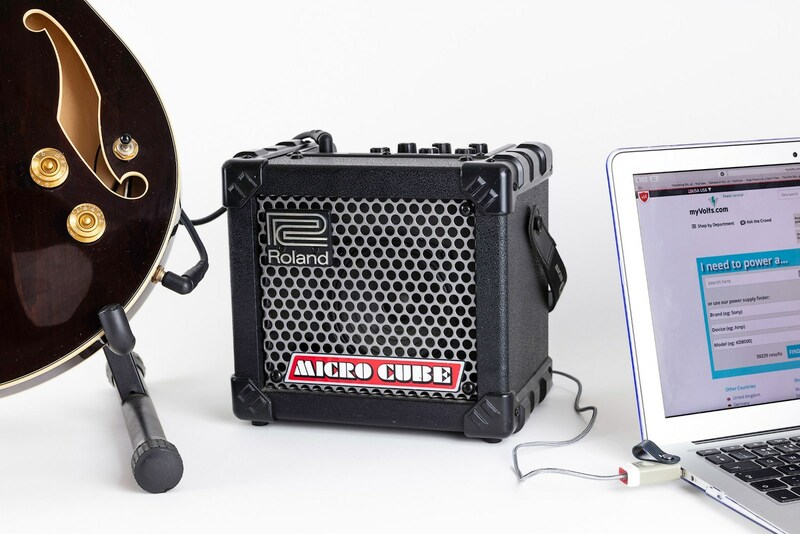 + I have a device that isn't a piece of musical gear – can Ripcord power it? Yes – you can power loads of other gear using Ripcord – for example, a Roku media streamer from the USB port on a TV, or a VoIP phone from a desktop computer. See our device finder. If your device isn't listed, and you've read the FAQ and still aren't sure, get in touch and we'll advise exactly the right Ripcord. + I've another question you haven't answered in this FAQ. Please mail caroline AT myVolts DOT com - she'll answer your question and add it to this FAQ.